We are a socially responsible business enterprise balancing profit-making activities with activities that benefit tribal societies, working for the welfare of tribal artisans and the development of handicrafts through design intervention. We provide a bridge between India’s Tribal art and buyers. Our Aim is to organise National and international exhibitions/workshops to give cultural exposure to the artists. We are also part of a French NGO “Duppata” that works for women empowerment in India that organizes a month long cultural event , which comprises of various exhibitons of tribal paintings from India in different parts of France. Each year tribal artists are invited to stay in France and showcase their art and culture. To offer art and artefacts that are both UNIQUE and AFFORDABLE. To provide the platform of a virtual gallery for our folk artists. Young talented folk-tribal artists have few opportunities to showcase their work to the world. The internet dramatically increases their ability to reach an audience beyond their local channels of distribution. To partner with NGOs who work with our artist communities. We believe we can and should do more than sell folk-tribal art from specific artists. We aim to make a difference at the Tribal community level as well. 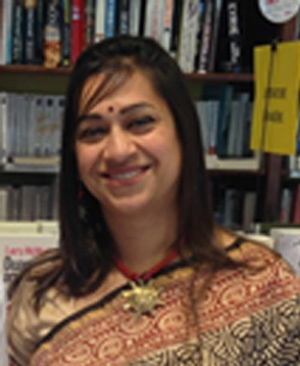 Born in Pune , Padmaja pursued her Bachelor of architecture at the Pune University.She moved to Bhopal in 1995 and set up her architectural practice with her husband Deepak Srivastava.Both together have designed wilderness lodges in prominent tiger reserves in Madhya Pradesh. Whilst in the process of creating earthy designs she came across various folk artists and artisans.It is because of this association that Padmaja took up their cause and became a full time promoter and activist for the tribes of India particularly the Pardhan Gonds and Bhils of central India. 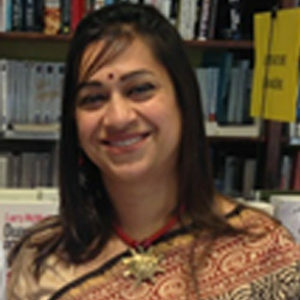 Since then Padmaja has organized and curated shows in Pune, Goa ,Bombay, France and USA.